Many dentists have offices that are incredibly sterile. Those offices may be well-suited to perform the functions of dental care, but they don’t do much to make patients feel comfortable about being there. 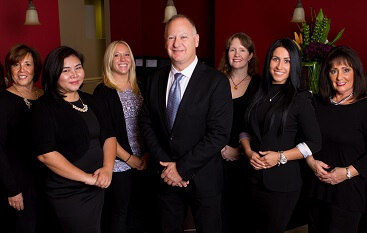 At North Shore Oral & Maxillofacial Surgery, we want to be known for a few things. One is our skill at providing safe and effective oral surgery for our patients. However, it’s just as important that we try to make our patients’ experiences as positive as we can. We know patients often feel anxious when they are preparing for any surgery, much less oral surgery. We make a concerted effort to help you remain as calm and relaxed as we can throughout the process. 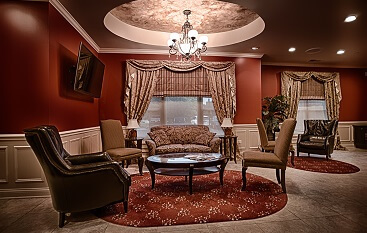 Today, we want to share some of the comfort options we offer, such as sedation dentistry, to help everyone who visits our dentist office Buffalo Grove, IL. We certainly take pride in the work that we do in our practice, but that doesn’t mean we have to do it in a clinical, cold setting. We believe your experience will be better if we can help you relax. This starts with the laid-back feel of our office. When you visit us, we offer cookies and beverages while you wait. When you are in one of our patient rooms, you may notice that you won’t be blinded by the bright overhead lights that are common in many practices. Instead, we use headlamps to provide the light that we need in a more controlled way. If you would like to watch television or listen to music to take you mind off your procedure, all you have to do is ask. And, please, let us know if there is something else we can do to make your visit more pleasant. As our name suggests, we do a lot of oral surgeries in our office. We also know this means a lot of our patients are worried about pain during their procedures. A lot of people who may not have dental anxiety for a cleaning may experience that anxiety in this situation. These are just a few of the reasons we offer four kinds of sedation dentistry for our patients. Different people have different needs and different levels of anxiety, and we want to be prepared to help no matter your personality or what type of procedure you need. Sedation dentistry offers both anesthetic and amnesiac effects. This means you won’t feel any pain during your procedure, and you won’t remember much if anything about what happened. As we noted earlier, the kind of sedation you receive will depend on the specifics of your situation. These may be used in combination with a local anesthetic. With that in mind, here is a short overview of the kinds of sedation that we offer. Some people know this better as laughing gas, and it is one of the simplest forms of sedation dentistry. You inhale the gas and before you know it, you will be feeling its effects. Many people feel a euphoric sensation as they inhale the nitrous oxide. When you are under its effects, you will not feel any pain, and you will be less aware of your situation although you may remember parts of the procedure. When your treatment is finished, you will be back to feeling like yourself within minutes. The effects of this kind of sedation and the two that follow are longer lasting than nitrous oxide. For that reason, you will need a family member or friend to take you home if you receive any of these forms of sedation. With oral conscious sedation, you take a pill before your procedure starts. You will remain relaxed throughout your procedure, and you will want to rest when it is over. This is a stronger form of dental sedation. With this, we can carefully control the medicine you receive. The effects are powerful and will linger after your procedure is over. Our staff is trained on how to safely and effectively administer this treatment for you. This is the strongest form of sedation. This is generally used for longer and more complex procedures. The effects of general anesthesia can last longer than the other forms of sedation, so you should plan on resting at home as you recover. Our goal is to help you understand and feel comfortable about your oral surgery. If you have any questions about the comfort or sedation options available at our Buffalo Grove dentist office, contact us anytime. 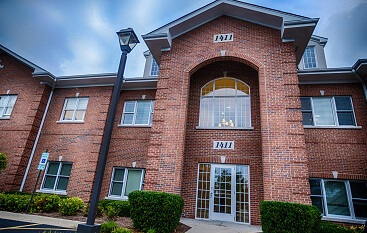 To reach North Shore Oral & Maxillofacial Surgery, you can fill out our online contact form or call us at 847-613-4933.